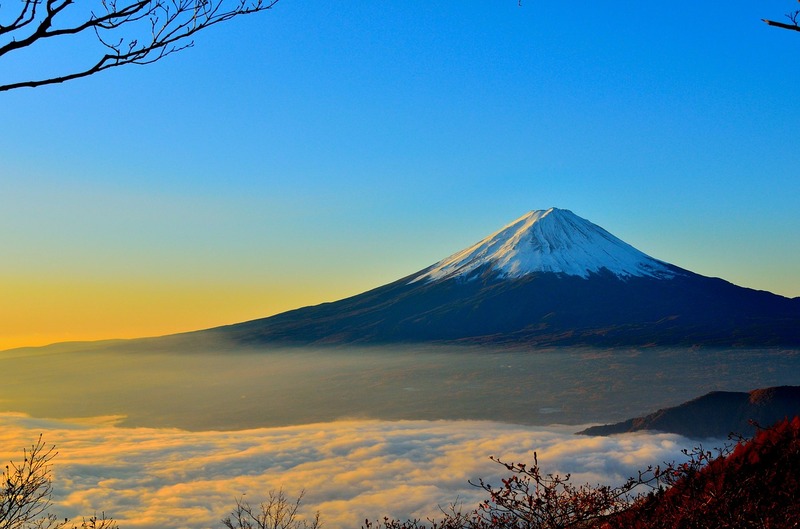 Mount Fuji is known to be the highest peak of Japan, and its height equals 3.776 m, which is 12.389 feet. Talking about the background of this peak, it is a stratovolcano, which is still active, with the last eruption dating back to 1707. The peak is located only in about 100 kilometers (60 miles) from Tokyo, and is on the Honshu Island. It is curious that on the clear days citizens may see the mount right from the city. The shape of this mount is an almost ideally symmetrical cone and is a real business card and symbol of Japan. Currently, the name of Fuji may be translated as ‘wealth’ and ‘a person with a status in a society’; however, the historical meaning of the name still remains unclear. In different ancient Japanese poems, this mount is mentioned as a source of inspiration and still remains a peculiar sight of this Asian country. The first person who summited this peak was an unknown monk, and the ascent took place back in 663. This peak was considered sacred, and it was not allowed for women to summit or even approach the base of the mount. By the way, the base was used as a training space for ancient samurais. The climbing season for this peak is extremely short and takes only two months, being July and August. Overall, there are seven official routes to reach the top.